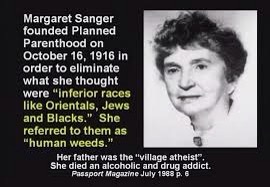 Planned “Parenthood” has always been about reducing the population of that which they believe is inferior. Want proof? Consider below. 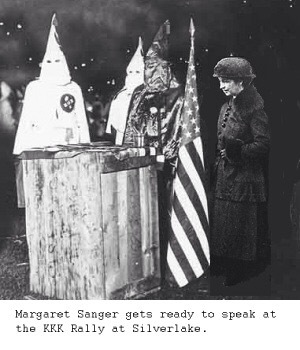 It was recently discovered, that Planned Parenthood has been trafficking parts of the mutilated bodies of that which that wicked organization murdered. Yes, it is true. They have recently been caught on undercover cam selling dead baby parts. The video below will prove it, and will also show that this isn’t the first time they have been caught. Planned Parenthood is the most well funded murder organization in America, with Satan easily disguising it with breast cancer screenings and such. Consider below. Planned Parenthood needs to be defunded so hard, that they will shut down, and while at it, charge them with all of the murders they are guilty of. In the name of The Lord Jesus Christ I write these things. Amen.